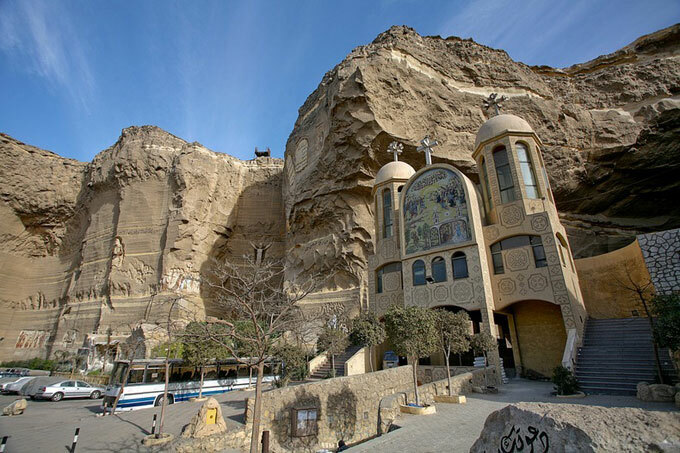 The grand Cave Church of St. Simon, located in the Mokattam mountain in southeastern Cairo, Egypt, is the largest church in the Middle East. More photos after the break. Only In Japan: Tokyo Office Building Is Also A Farm?! via Quartz. 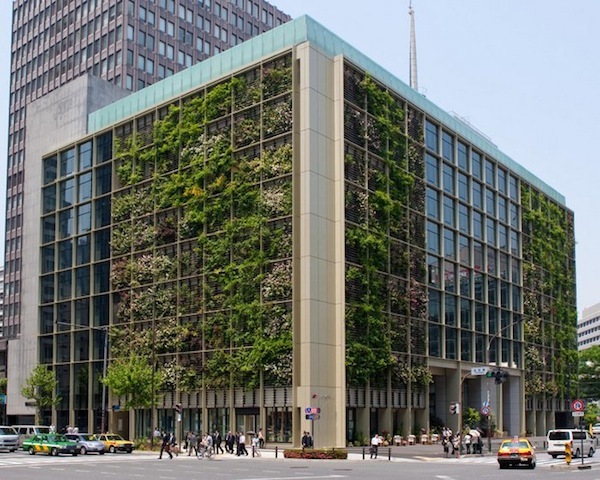 Instead of building a new headquarters from the ground up, Japanese recruiting company Pasona renovated a 50-year-old office building with a double-skin, green facade and rooftop garden and, most notably, urban farming facilities throughout the building. The building has a rice field in the lobby, a hydroponic tomato farming space surrounded by offices, pumpkin vines growing over one of the reception areas, and lemon and passion fruit trees forming partitions that divide the meeting rooms… pretty cool! Check out some more photos and an informational video below. The Dalvey Estate by Aamer Architects is an exquisite hybrid structure located on the tropical island state of Singapore. Malay architectural influences marry contemporary form to create a residence with fluid functionality and stunning composition. 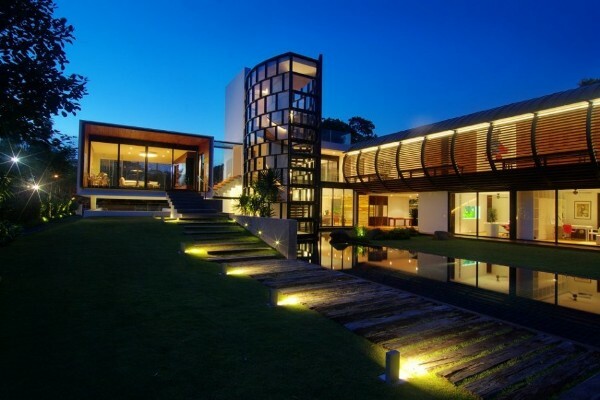 An elongated cylindrical passage creates a wave-like effect giving the home its undeniably unique aesthetic. Sleeping quarters are separated from the social spaces of the home, encouraging interactions and family activities. A hoovering rectangular space leads down to a finely manicured lawn and minimalist pool, while LED lights illuminate the spiraling floating stair case from inside. More photos after the break. via zeutch. 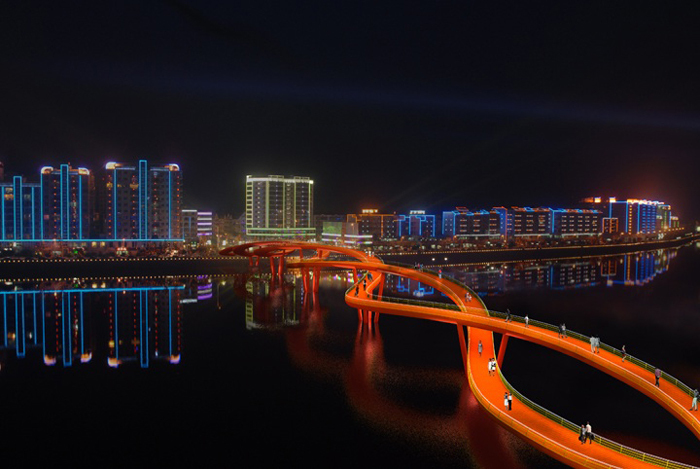 Cool bridge design by WXY Architecture for Xinjin County, China. More photos below. via koikoikoi. Check out the new headquarters for the 1,700 Adidas employees located in Herzogenaurach, Germany. 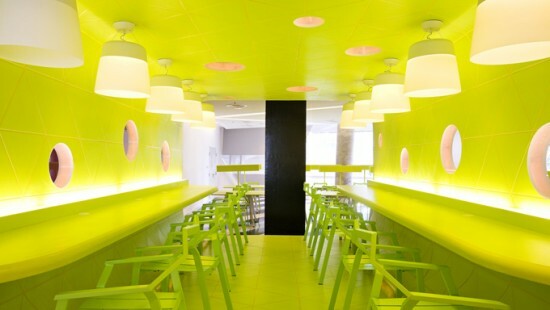 This was designed by Kinzo Berlin studio. More photos below. via hypebeast. 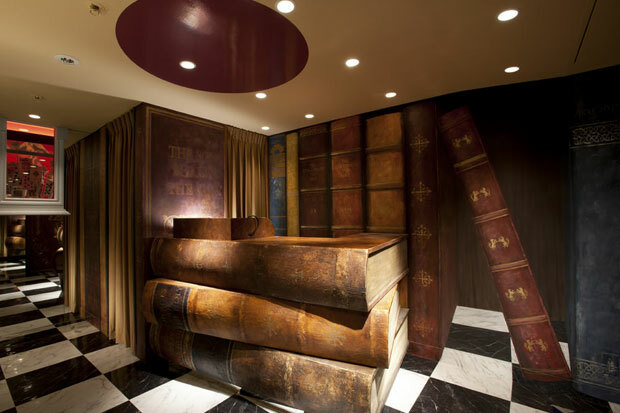 Japanese design studio, Fantastic Design Works, created this Alice In Wonderland themed restaurant for the Diamond Dining company. More photos after the break. Situated in a town fascinated with conceptual eateries, this latest Tokyo establishment features an imaginative combination of psychedelic decorations, dramatic designs and waitresses dressed in Alice costumes. Located in Tokyo’s Ginza shopping district, the restaurant is situated in a 2254-square-foot space that’s divided into various scenes from the 1951 animated film. 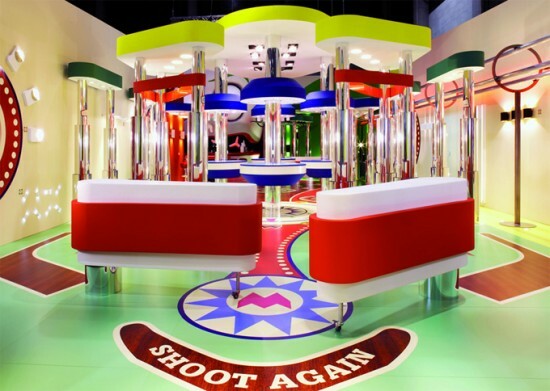 This is an office designed as a replica of the interior of a pinball machine… it’s pretty amazing. This was an exhibit at the 22nd International Design Biennale that took place October 15th -24th in Belgium. Very cool. More photos after the break. Here are some photos of the Bangkok University Center… incredible. More photos after the break.